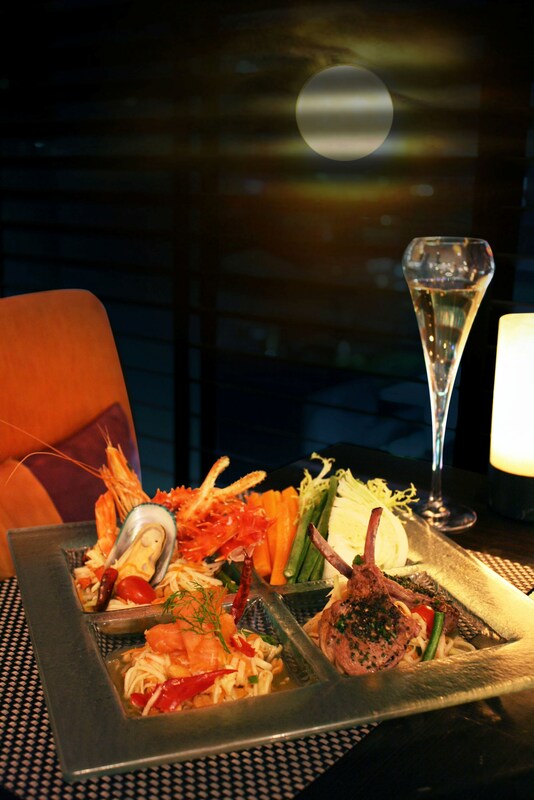 CELEBRATE THE FULL MOON at VIE Hotel Bangkok with Zaab & Spice buffet dinner at the award-winning VIE Wine & Grill restaurant as VIE marks its Loi Krathong Night on Nov. 28, 2012. “Zaab”, by the way, means hot in Thai. Cost per person is THB 900 and includes a special order lotus-shaped candle to take home or to float at the hotel’s see-through swimming pool. The menu includes a freshly mixed high-end ‘Somtum’ – Thai-style papaya salad, complimented by items like smoked salmon, king crab claw and New Zealand mussels. The buffet line also includes other Zaab delish like grilled premium quality steak with thick spicy herbal sauce, the delicate bamboo cram stir fried with holy basil, fresh pepper, galangal, and chilli, a traditional dish of hot and spicy soup with wild chicken, shallots, tomatoes, and lemongrass as well as other Zaab dishes. VIE Wine & Grill is located on the 11th floor. The buffet dinner is available from 6:30 – 10:30 pm.